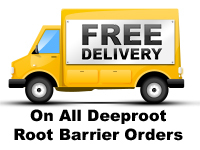 Deeproot tree root barrier provides time-proven, dependable root protection for trees of all sizes and root depths up to 48". 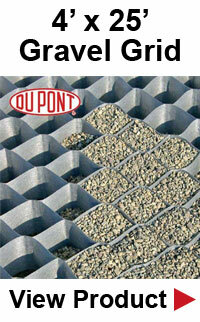 Deeproot barriers can be placed in either a linear or surround formation to best suit the application's requirements. With built-in ground locks (12", 18", & 24" models) deeproot panels prevent against lifting by trees with shallow roots. All of the deeproot root barrier models provide built-in grooves to guide tree roots downward, providing long term stability. 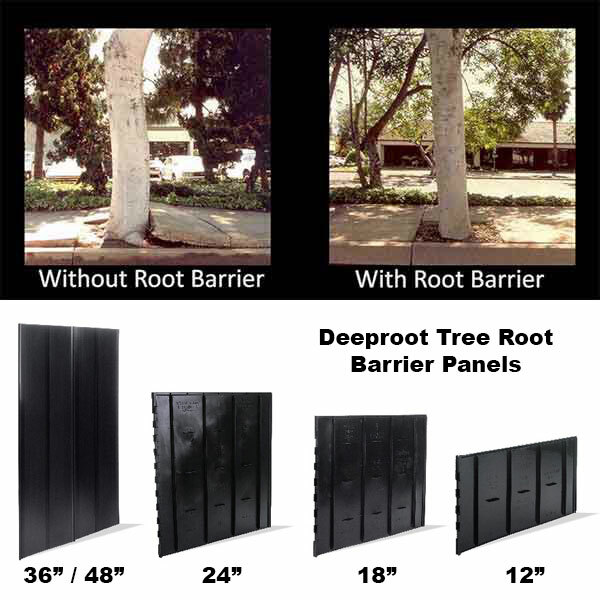 Interlocking edges provide deproot root barrier panels with a secure root-proof connection. The barriers can be arranged in either a linear style or in a surround formation (12", 18" & 24" only) to completely encircle the tree. Looking for a different style of barrier? Visit our Tree Root Barrier section for additional solutions. If you are landscaping, paving, or concreting an outdoor area, it can be very time-consuming, hard work, and expensive. 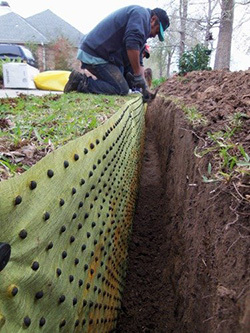 In order to prevent your project from tree roots, a reliable barrier should be installed along side of your project. You will have years of protection from roots, it's extremely affordable and does not involve an extensive amount of labor to install. A barrier will decrease the chances for roots penetrating your foundation, walls, or building. These barriers are commonly used for both residential and commercial areas protecting the surrounding areas from costly repairs such as buckling sidewalks, destroyed driveways, or cracked foundations. When soil dries up, trees and shrubs will spread their roots out in search of water. They will continue to spread until they can find the moisture they desperately need. Over time, this will lead to extensive damage to your property, your sidewalk, driveway, and foundation. When a barrier is properly installed, it will direct the roots down and away from structures. You will experience very expensive repairs if overgrown roots continue to expand outward. Even in an already damaged area, if you install a barrier it will prevent further destruction. For many years, the solution was a cut-off wall. These walls are used as a vertical barrier that is placed 3-feet from its footing. These walls prevent further root expansion, will stabilize your soil, and control additional clay. The downside to cut-off walls, they are extremely expensive to construct and quite often fail because they are made of concrete and prone to cracking. The first type of pre-manufactured barriers is a physical barrier that are typically comprised of a heavy-duty polypropylene that is between 40 to 60 mil thick. They are sturdy products and are in most situations impenetrable by tree roots. This barrier will also prevent extensive dampness and moisture from surrounding your soil. Manufactured from a durable High-Density Polyethylene, these barriers hold moisture in the soil while preventing root movement that will damage nearby structures and hardscapes. 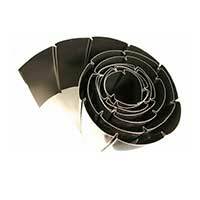 These sheet material barriers measure 20-feet long making them perfect for linear planting applications. You can cut them to certain sizes and apply them to individual trees. This kind of barrier is an injection molded High Impact Polypropylene modular barrier. The EP line lets multiple panels join together using a joining strip. They also have a T-top edge that prevents overgrowth of roots. The panels can also be locked in the ground using their external flanges at the base. The Biobarrier product relies on a series of herbicide nodules fused to landscape cloth to repel tree root growth. The modules contain trifluralin which is an effective non-systemic herbicide. This creates a barrier around your landscape and hardscape areas preventing roots from growing. When roots reach the barrier they are stopped in their tracks. Roots outside the barrier area will continue to grow naturally. This can also be used as a weed control because their roots cannot grow due to the trifluralin that is next to the fabric. Not to worry, tree roots and shrubs are below this zone and will not be affected by this herbicide. These panels are patented mechanical guides that redirect tree roots away from the hardscapes, preventing root damage while allowing for healthy mature trees. Deeproot panels are also used for root pruning on both new and existing trees. It takes a great deal of hard work, time, and money to create landscaping and hardscaping. Implementing newer barrier solutions will protect your projects as well as your surrounding trees. These barriers will save you having to start over when tree and/or weed roots damage your projects. With the correct installation, you will have years of protecting landscaping and hardscaping that will remain in excellent condition. You will not have buckling sidewalks, destruction to foundations, and/or driveways. They will also provide protection to your wonderful trees that will continue to thrive. We offer a full line of excellent barriers for all your projects. Contact us for assistance in choosing the right solution for your project.